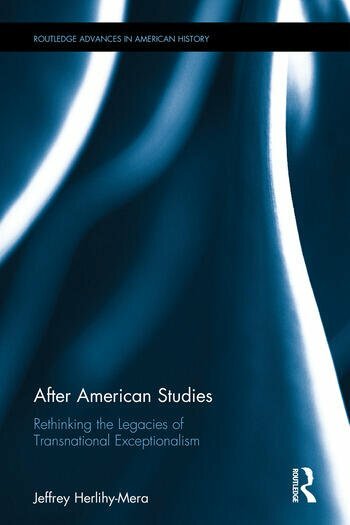 After American Studies is a timely critique of national and transnational approaches to community, and their forms of belonging and trans/patriotisms. Using reports in multicultural psychology and cultural neuroscience to interpret an array of cultural forms—including literature, art, film, advertising, search engines, urban planning, museum artifacts, visa policy, public education, and ostensibly non-state media—the argument fills a gap in contemporary criticism by a focus on what makes cultural canons symbolically effective (or not) for an individual exposed to them. The book makes important points about the limits of transnationalism as a paradigm, evidencing how such approaches often reiterate presumptive and essentialized notions of identity that function as new dimensions of exceptionalism. In response to the shortcomings in trans/national criticism, the final chapter initiates a theoretical consideration of a postgeographic and postcultural form of community (and of cultural analysis). Jeffrey Herlihy-Mera is associate professor in the Department of Humanities at the University of Puerto Rico.